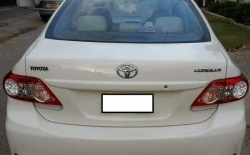 Toyota Corolla Model 2009-2012 but registered in November 2008. The car is entirely Toyota Sure certified and converted to GLI by Toyota Sure as well. 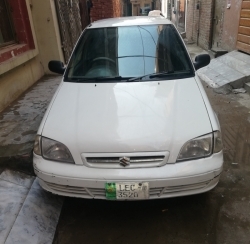 Car is in excellent condition and untouched with only 28,000 KM mileage and white in color. 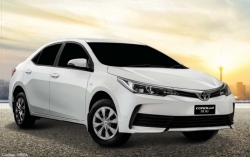 The car is totally maintained by the company and all certificates are available. 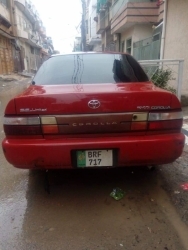 Car is available in DHA, Karachi. Available at good price. For more details, contact 0304-3035461. Daihatsu Move Custom X 2013 (It is not Cuore CX - Website Doesn't have option for MOVE) 1st owner Excellent condition, taken great care. Inside out fully original. Registered in 2017. Automatic adjustable projector lights with original HIDs. Automatic light switch function. Automatic retractable Winker side mirrors. Spacious inside with folding and adjustable rear seats. Comfortable sofa seats. Never had any problem. 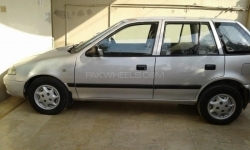 100% maintained by dealership (Toyota/Daihatsu) Islamabad Car can be seen after 4pm. 2018 model 27 Aug registered. 20,000 km driven, Bumper to Bumber original Life time tax paid. *Extra work done:* ? Wide tyres ? Music player, ? Full car flooring, ? Seat covers ? 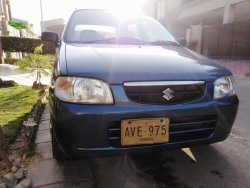 1.6 years Suzuki Warranty. Bumper to bumper genuine. Its oriel UG. Car is in excellent condition. Only serious buyers please. 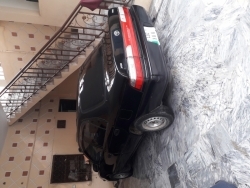 Please call or text at 03041699448, excellent condition, Mercedes C-180, 2007 Model, grey metallic color, Petrol, Islamabad registered, available in F10 Islamabad to view and possibly get it. 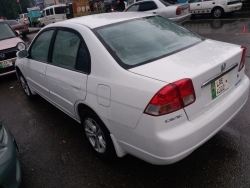 This is Toyota Altus 1.6 white colour. Scratch less. Brand new. Only driven twice. It’s a wedding gift. Serious buyers only. 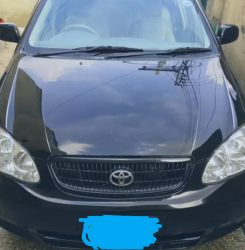 Excellent condition.. Black color..non accidented .. 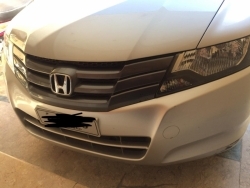 Registration 2008 very neat and clean car for more info contact us.